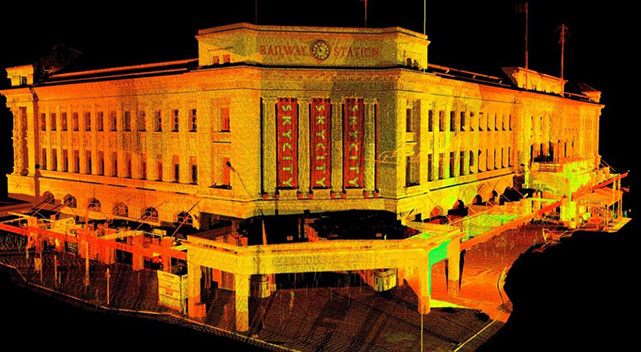 3D laser scanning offers a faster, more accurate and cost-effective alternative to traditional surveying. Improve decision-making and confidently plan, design and construct with all the information you need at your fingertips. Using the latest 3D laser scanning equipment and software, we quickly capture millions of 3D points to form spatially accurate point clouds of your site or structure. These can be delivered as point clouds or further developed into 3D CAD models or Revit Building Information Models that are compatible with your existing software. Incomplete or inaccurate as-built drawings for an existing building can often hamper plans and designs for future extensions and renovations. Laser scanning captures a site’s detail in its current form so the data can be converted into intelligent CAD models and used to develop extremely accurate existing condition drawings, while providing quality assurance across the project lifecycle. Streamline the BIM process for any new construction project by scanning all components as they’re installed to build a time-lapse record of the elements and materials used with millimetre precision. Use the scanned data to ensure components are correctly installed and easily catch conflicts or risks so you can adjust the designs instead of making costly changes onsite. We can arrange to deliver our high-quality, accurate 3D modelling from our point clouds. 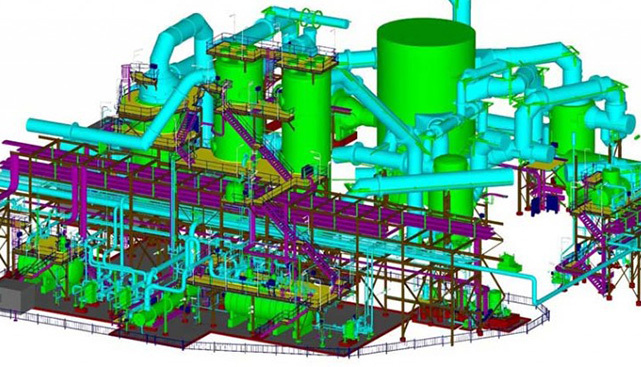 Our solutions are tailored to your project needs and can include 3D CAD and Revit modelling, BIM building modelling, high-accuracy surface modelling and as-constructed 3D deformation modelling records. See your project come to life with our 3D laser scanning and UAV photogrammetry services. Make informed decisions for your project by overlaying your concept or detailed design models on real-world coordinates. The speed and accuracy of 3D laser scanning mean fewer site visits and faster results than traditional survey methods. Our high definition laser scanners capture site features in incredible detail and with extreme accuracy so you can improve decision-making, reduce rework and avoid costly errors across the building and infrastructure lifecycle. Accurate and detailed high-resolution 3D models allow your team to do more and work faster, reducing design time and project costs. Our expert surveyors can collect precise data and create non-intrusive, detailed surveys of even the most hazardous surfaces and complex structures. From rail corridors and complex industrial sites to brownfield sites and heritage buildings, we can deliver fully coloured, true 3D visualisations of the surveyed objects. Our TruView site means your whole team can simultaneously access, share and examine point cloud data for a range of applications without having to return to the field, saving you time and money. View your project from any angle using just your internet browser, without the need to install any specialist software. We represents your best interests to ensure your laser scanning project is delivered successfully and as efficiently as possible. Every project is unique, and we adapt our process to suit. We work with you to understand your objectives, identify risks and build the best solution. We have a team of licensed surveyors with unrivalled experience, dedicated to providing you with detailed knowledge, professional foresight, and clear, open and honest communication through every step of the process. Our work is certified to an international standard so you can feel confident in the results. I can always rely on Alexander Symonds to deliver comprehensive survey information in a prompt timeframe. Their 2D detail surveys are supplemented with a Revit Model and TruView Global. The Revit Model has assisted us greatly in projects that have a heritage component providing 3D documentation of the existing built form. The TruView Global file has been invaluable as it enables us to virtually inspect the site any time as the project develops. Alexander Symonds always makes the time to collaborate and work with us to ensure that their survey information is provided to us in a form that best suits our projects’ needs. The possibilities with 3D laser scanning are endless. 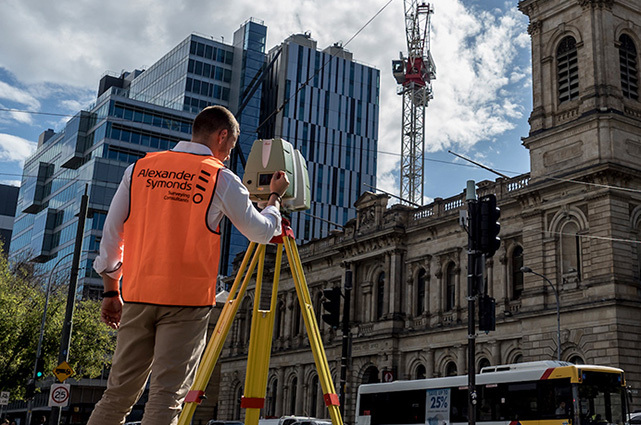 Contact our expert team at Alexander Symonds for a free quote and more information about how 3D laser scanning can innovate your next project.